So here we are at part 2 of the Yellowstone/Grand Tetons grand adventure. 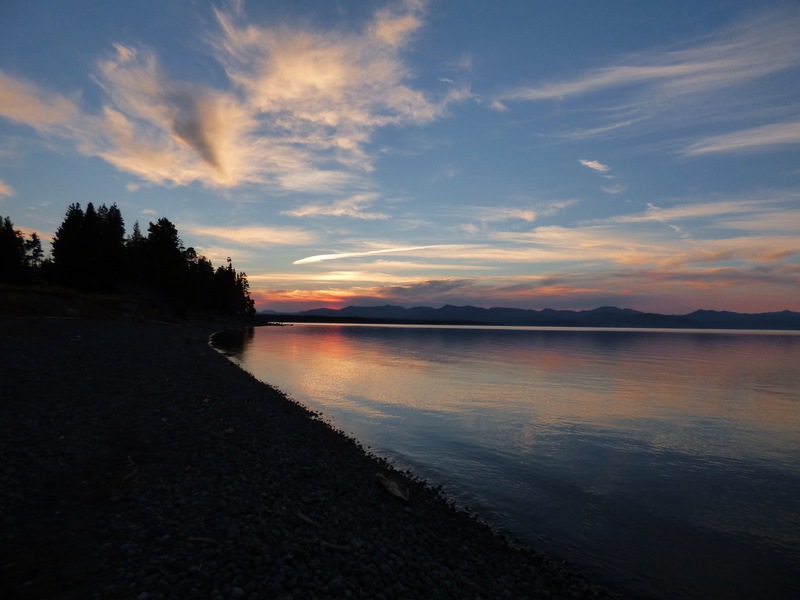 In this portion of the blog you will have the opportunity to learn about the areas of Canyon Village up to Tower Junction and over to Mammoth. Our first couple of days we stayed at Canyon Lodge and did things in that area. We ate at the café one night, but it was kinda eh. All of the books and websites say the best time to see animals is dusk and dawn. So we got up early and headed to Lamar Valley one day and Hayden Valley another to look for wolves, coyotes and bears. We got soooooo suuuuuuuuper lucky! A pack of wolves took down an elk one day. 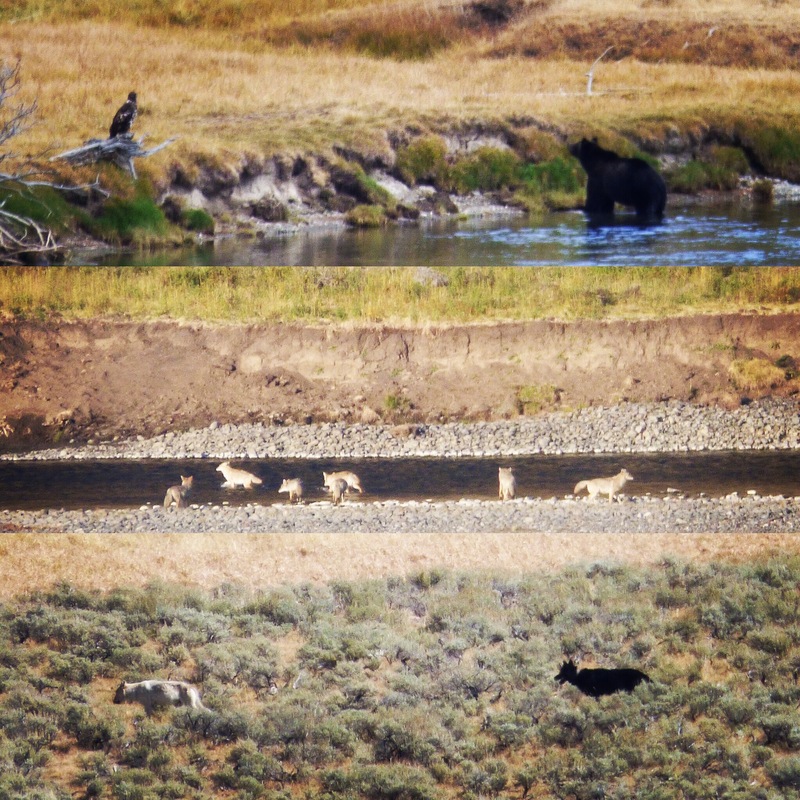 So we got to see the wolves leaving as a bear came, some coyote waiting their turn aaaaaaaaaaaand some bald eagles. It was awesome!!!! I highly recommend talking to everyone you can and asking if they know where to go. People are more than happy to help. Also look for a large group of people crowded together at turnouts with their cameras up and pointing (dead giveaway something cool is happening). We tried to do a hike every day. The Mt. Washburn trail at Dunraven Pass was recommended several times, a very popular hike. 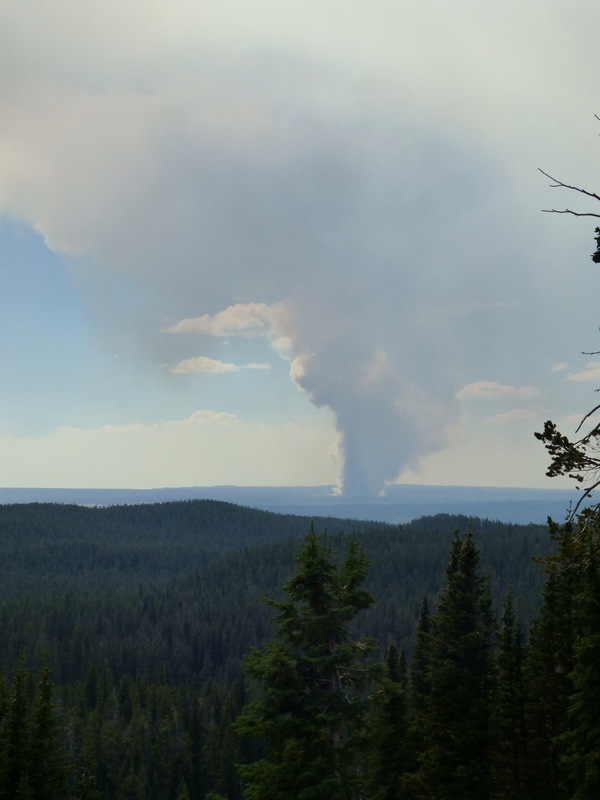 It’s supposed to have epic views of Yellowstone caldera. Unfortunately there were like 5 fires going on when we went so we couldn’t see much. This IS a strenuous hike so if you are not in shape I wouldn’t recommend this trail. 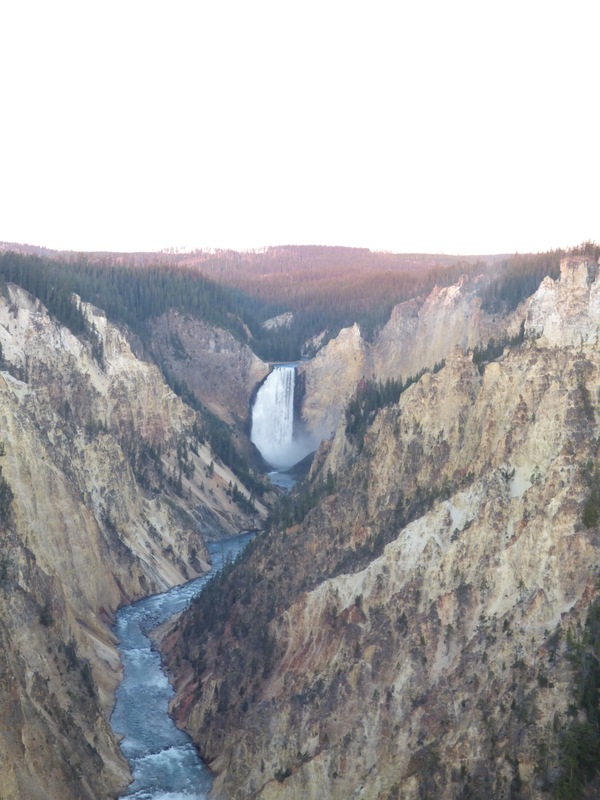 Definitely check out the Yellowstone Grand Canyon, along with the Upper and Lower Falls. Artist Point is a perfect spot to view one of the falls, we got to see the sunrise over it, SPECTACULAR. Ooooooo! 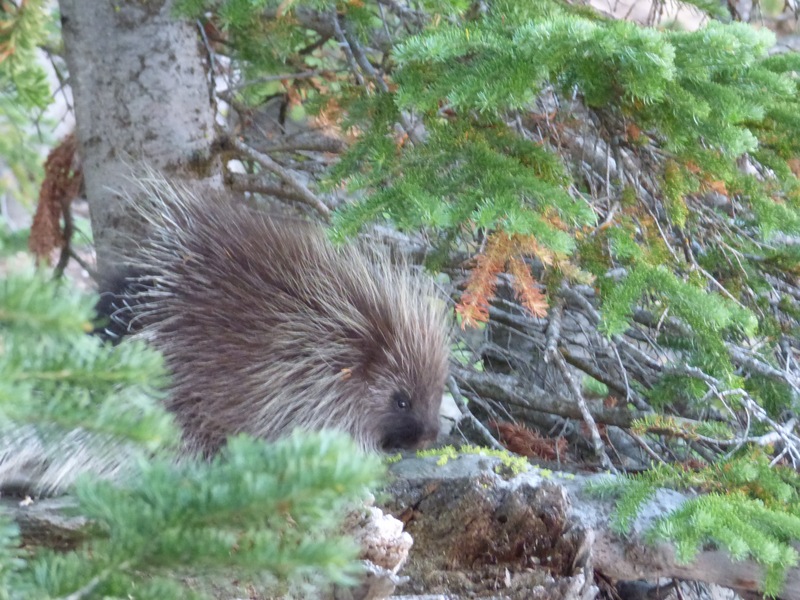 And while we were at Artists Point we spotted a porcupine! Probably one of my favorite sightings. The third day there we headed over to Mammoth. On the way we stopped by Norris Geyser Basin and Willow Park. Willow Park is like the perfect setting to spot moose, but we didn’t see any while we were there:( Supposedly moose loooooooove willow bush. Their ideal area will have easy access to trees for cover, water to drink, and willow bush to munch on. We came into Mammoth near dusk and there were elk EVERYWHERE! Don’t walk in the grass at night y’all. Eeewwwwww.💩 The lodges at Mammoth were for sure the smallest. I definitely wouldn’t have enjoyed staying there long term but the town was really lovely. Some great historic pieces in many of the buildings. Ooo and the café there had ice cream. Yum. We ate in the dining room the night we checked in. Everything was yummy if a little pricey. Our waiter was awesome. 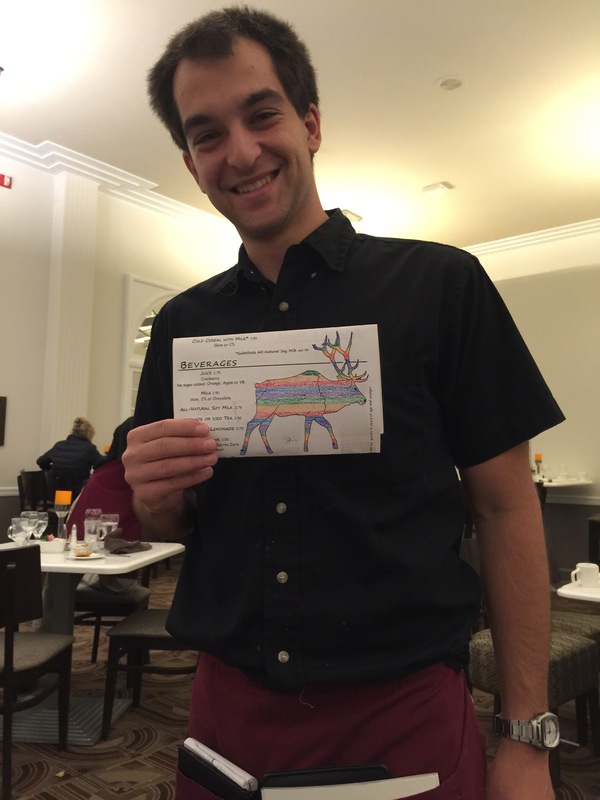 He even took a picture with my beautiful drawing. Don’t judge. If you have the time I’ve heard the hike to Fairy Falls and Twin Buttes is pretty awesome (we didn’t make this one either unfortunately). And here I’m going to pause the trip. I hope you are enjoying Yellowstone so far. Make sure to subscribe to The Girl and the Coconut for next week, when I will post the final portion of our trip. If you’re interested in seeing more pictures of my great adventures follow me on Instagram. I post almost every day.